Peter J. Illig, Esq. CEO and General Counsel. Peter is an accomplished nonprofit leader with a unique complement of business, legal and communication skills. He serves mission-driven nonprofits in C-Suite positions providing executive management, legal counsel and external representation. A strategic thinker, he leads re-structuring that ensures long-term sustainability. Previously, he served as General Counsel, Chief Risk Officer and Head of External Affairs for World Scouting, established and served as Executive Director of the Foundation of the Fortune 100 med-tech company Stryker, created the first Public Private Partnership for the US Agency for International Development (USAID), and restructured the Human Rights organization of the global Franciscan Order. Mr. Illig graduated from SUNY Buffalo School of Law, has an LLM in International Law from the University of Notre Dame's London Law Program and is admitted to the NY Bar. Based in the Metro DC area, he is a consultant to the World Health Organization and World Bank, and is a member of the National Eagle Scout Association. Dawn Worsley, ADC, CDP President - the owner of Dawn on the Horizon, LLC in Baltimore, MD and she serves on a variety of boards including her current position as President of NCCAP. Dawn is an Activity Director Certified (ADC), a Certified Eden Alternative Associate as well as a Certified Dementia Practitioner (CDP). 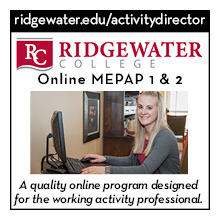 She is also an authorized certification instructor with the National Certification Council of Activity Professionals. In addition to serving as an Activity Director, Corporate Program Development and Consultant, Admissions & Marketing, Director of Alzheimer's and Gero-psych units, she also serves as a Regional Clinical Specialist. She has a vast knowledge base in many facets of long term care and community services and is considered a pioneer in her field regarding resident rights and culture change. Also a National Speaker on a variety of topics for Health Care Workers, she is published in both print and video, having worked in collaboration with The University of Maryland Video Press. Debbie Hommel, BA, ACC/MC/EDU, CTRS Vice President - the Executive Director of DH Special Services. She is a Certified Activity Consultant with specializations in Memory Care and Education through the National Certification Council for Activity Professionals and is a Certified Therapeutic Recreation Specialist with the National Council for Therapeutic Recreation Certification with over thirty years of experience in providing direct care and consultation to long term care, medical day care, assisted living, and ICF/MR facilities throughout New Jersey, New York, Maryland, and Pennsylvania. She is an experienced trainer and workshop presenter, conducting a variety of seminars throughout the Tri-State area as well as Kansas, Minnesota, West Virginia, Virginia, New York, South Dakota, and Louisiana for the Activity Professional, Administrator, and allied healthcare professional. Debbie Hommel is an active member of Activity Professional Associations on State and National levels. She is a founding member of the New Jersey Activity Professionals’ Association, serving terms as Vice President and President. She received the Weidner Lifetime Achievement Award in 1994 and the Monmouth & Ocean County Activity Professionals Life Achievement Award in 1999. Debbie currently serves as the New Jersey state representative for the National Certification Council of Activity Professionals and has served two terms on the Executive Board of NCCAP. Debbie is the recipient of the National Certification Council’s 2009 MEPAP Instructor of the Year award. Kara Reiser, ADC, ACC- Treasurer - has enjoyed serving residents within senior living communities, through life enrichment programming and planning quality events for over 30 years. With compassion and creativity, she has served as the Life Enrichment Director for a Presbyterian Homes and Services-Johanna Shores Campus striving to offer meaningful and relevant programming, while providing excellent customer service to meet the changing demands of their growing population. Her function has been in leadership management, as a Certified Activity Consultant mentoring others to ensure compliance of regulations and safety, and providing great customer satisfaction. For the past several years she has been an active member of the Minnesota State Wide Activity Professionals and is currently the Vendor Chair on the MNSwap Board. "I am honored and look forward to serving as your Treasurer during this exciting transition for the NCCAP Board." Murvell (Murv) Delpino- Secretary - has worked in Long Term Care for 15 years. Her passion for serving Seniors at Asbury Methodist Village in Gaithersburg, Maryland with various Alzheimer’s'/Dementia has taken her on several journeys ranging from executing industry trending techniques learned via various workshops and trainings to advocating on behalf of memory care residents and their families with the Alzheimer's' Association. She is an active member of Maryland Activity Coordinators Society and has served on both her State and Regional Board. She has also mentored professionals while going through the MEPAP course. "I think the biggest component of any successful professional is arming yourself with information, successfully serve all stakeholders and seek continuous improvement to enriching the lives of those we serve. I look forward to working and serving with the NCCAP Board." Lori Presser, BSHA, ADC, CDP, CMP, CEAL Nominations - has been in long term care for over 20 years in various roles across the senior realm-Activities, Operations, Marketing, and Business Development. She has been part of the Northeast Ohio Association of Activity Professionals leadership team for over 17 years. Lori has a Bachelor of Science and Health Care Administration and certifications that enhance seniors’ lives. As an advocate for seniors and activity professionals, Lori is currently co-writing the re-write of “Activities Keep Me Going." Linda Redhead, MS, ACC, EDU Special Projects - Owner of Activity Advisor, a consulting company. She graduated from the 'School of Visual Arts' with a Bachelor of Fine Arts Degree in Illustration and Art Therapy. Also a 'College of New Rochelle' graduate with a Master's Degree in Art Therapy, she is a certified Activity Professional and has over 28 years of activity experience in long term care. She has worked in several long term health care facilities and is currently a Director of Activities in Fishkill, New York. 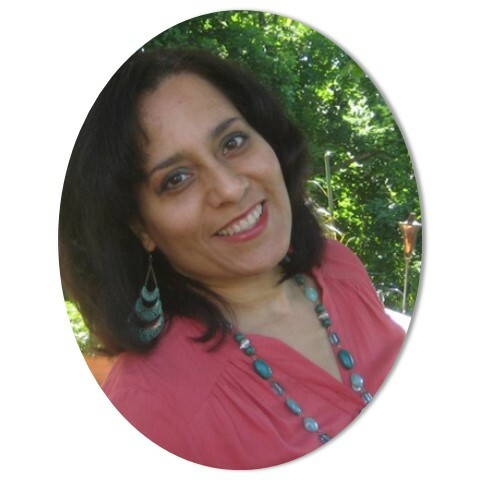 She is a founding member of the 'Activity Professionals of the Hudson Valley Association' and is pre-approved to teach the MEPAP 2nd Edition-the 'Modular Education Program for Activity Professionals'. Mrs. Redhead was also the Mepap Instructor of the Year for 2013. She served as the official New York State Representative for NCCAP and has served the NCCAP Board in Special Projects for over 6 yrs. Asel Valentine joined the NCCAP staff in May 2017. She started off as the receptionist and was then promoted in late 2017 to Data Specialist. While working at the NCCAP office, one of many of Asel’s tasks includes: research and providing analysis, and completing incoming applications. Asel has lived in Virginia Beach for 7 years. As a busy Mom with an 8-year-old son, Jordan, she is also a college student pursuing her degree in Liberal Arts. When Asel can find the time, she enjoys reading, walking, and spending time with the family. We are very glad to have such a hardworking lady on our team! 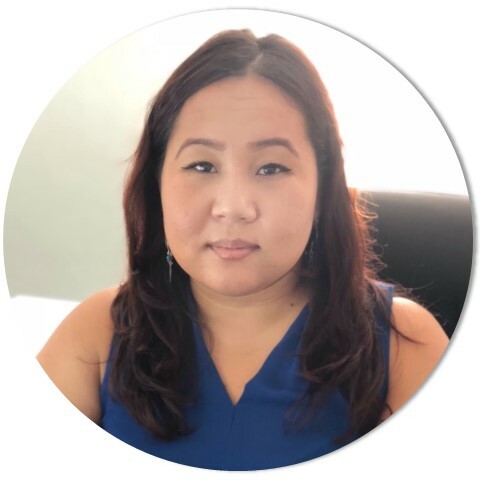 Connie Le got out of the United States Marine Corps in early 2017 joining the NCCAP Staff in late May 2017. She started off as a receptionist and was then hired on full time as of October 1, 2018, as a Program Management Analyst. While working at the NCCAP office, some of Connie's task includes: entering Continuing Education Courses into NCCAP's growing database, tracking/taking payments, receiving and entering incoming applications into the database, creating certificates and sending out certificates. Connie has lived in Virginia Beach for 1.5 years, as a busy mom with a 3-year old daughter, Mya, she is also a college student pursuing her Bachelor's degree in Exercise Science and Nutritional Health. After hours Connie enjoys going to the gym working aesthetics for bodybuilding and powerlifting for strength and most importantly spending time with Mya. "I don't lose any sleep at night over the potential for failure. I cannot even spell the word" - Secretary of Defense General Jim "Mad Dog" Mattis.